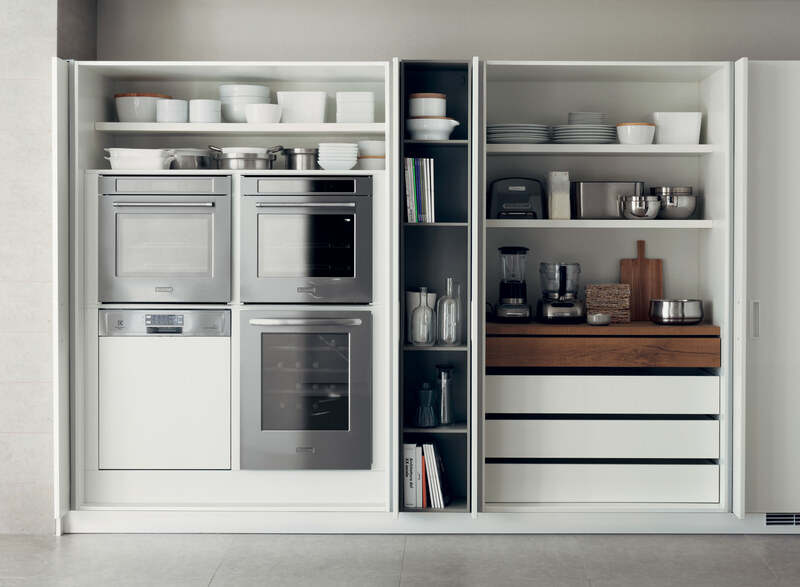 This customizable line reimagines the kitchen as a compact unit, with doors that can be fully opened and tucked away, or closed to keep pantry essentials out of sight. Lines that can be architecturally integrated make it easy to add storage to tight spaces—like this Corian unit tucked under the stairs in a New York kitchen. A freestanding kitchen island for commitment-phobes, this stainless-steel–and-bamboo workspace offers adjustable shelves for storage at a fraction of the cost of a built-in. Available in six shades of stained beech plus natural oak and walnut, these wall-mounted hooks activate the vertical plane for hanging or stacking items.